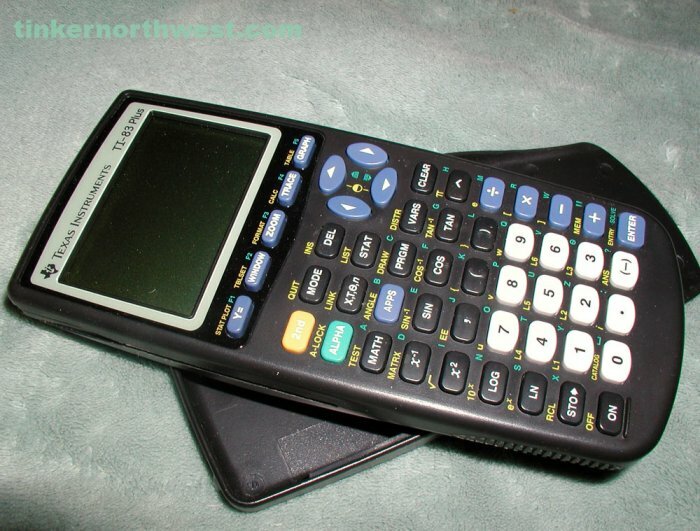 Texas Instruments TI-83 Plus Graphing Calculator. Unit powers on. Batteries not included. Comes with sleeve. No other accessories included. The TI-83 Plus is an easy-to-use graphing calculator for math and science. Graph and compare functions, as well as data plotting and analysis. The TI-83 Plus is enhanced is programmable, upgradeable, and comes with FLASH™ ROM memory that allows you to store Calculator Software Applications (Apps).